A bureaucratic overhaul and a more meaningful partnership with Aboriginal people are essential changes according to Ian Ring who is a professorial fellow at the Australian Health Services Research Institute at the University of Wollongong. A recent episode of Q&A echoed traces of the widespread view that much money has been spent on Aboriginal health and other matters, with relatively little to show for it – and that the money must have been eaten up by a bloated bureaucracy, was misdirected, or corruptly or incompetently used. That changed with the introduction of the National Partnership Agreements (NPAs) involving the Commonwealth and all state and territory governments, which injected $1.6 billion into Aboriginal health and $4.6 billion over four years to 2012-13 into health, education, housing, employment and remote services as part of the Closing the Gap programs. Australia went from having a degree of international opprobrium because of its neglect of Aboriginal issues to becoming internationally competitive in terms of indigenous policy and funding. But what results have we seen from this allocation of additional funds? In a four-year program, the funds start out at low levels in the first year and build up progressively over the next three. The funds then need to be used to employ people, who need to be recruited and trained, and then it takes more time for the programs in which they work to become fully effective. Taking the $100 million allocated to smoking, for example, the very earliest we could hope to see any kind of significant change in smoking would be picked up by the next smoking surveys, the results of which will be available next year. Given the lag between smoking reduction and improvements in smoking-related diseases, the earliest we could see measurable changes in heart and lung mortality may not be until 2020. The apparent lack of progress from data currently available tells us about the lack of progress before the additional $1.6 billion hitting the ground and is just what we would expect to see at this stage rather than indicating waste of funds or misallocation of resource. But was the money optimally allocated? Almost certainly not and for reasons that are crying out to be dealt with by the Mundine review. The programs funded by the NPAs all made sense individually but, collectively, they missed the point and in no sense approximated the comprehensive long-term action plan promised in the statement of intent. The problem was not in the policy determined by governments, or in the funding, but in the bureaucratic implementation of those policies. 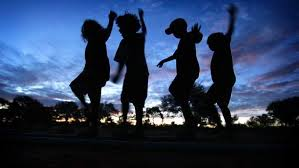 The programs were determined by officials in state and territory governments with insufficient genuine consultation with the people who run the Aboriginal community controlled health services (ACCHS). Nobody seemed to have asked if we want to halve the child mortality gap in 10 years and the life expectancy gap in a generation, what services do we need to achieve those goals? And nobody seems to have wondered how it was possible to have healthy mothers and babies and to get on top of chronic diseases without adequate provision for mental health services. The limited evidence available clearly shows that ACCHS run by and for Aboriginal people eclipse mainstream general practice in the identification of risk factors, performance of health checks, care planning and the management of Aboriginal and Torres Strait Islander patients. So instead of asking what services would produce the best return on investment, the decision seems to have been taken to allocate new funds to perpetuate current patterns of use between mainstream (GP) and ACCHS. Too many senior officials still cling to the notion that in Australia’s cities and towns mainstream services are the answer – in the absence of evidence that this is so and in the face of evidence that it isn’t. There is a real risk that mainstreaming will be seen as some kind of solution, when the reality is that there needs to be sensible arrangements for mainstream and ACCHS services to work together, as in the Urban Indigenous Health Institute. While current levels of indigenous health funding go a long way to redressing the previous shortfall in health expenditure, estimated by health economists at about $500 million a year, inequities in the share of mainstream program funding received by Aboriginal people is still an issue. So what does this mean for the Mundine review and the new government? Three issues stand out. First, bureaucratic reform is essential. That means substantially fewer public servants but those that remain need to have the requisite skills and experience. There is broad agreement that the main functions of Aboriginal health should remain with the Department of Health, preferably led by an indigenous official, but a small, high-level group in the Department of the Prime Minister and Cabinet, to ensure the new Prime Minister’s requirement to deliver for Aboriginal people, is an essential component of the new arrangements. 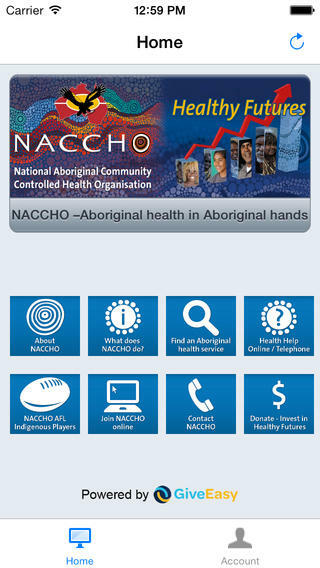 Second, the recently formulated National Aboriginal and Torres Strait Islander Health Plan isn’t really a plan in any meaningful sense but could become one if the implementation plan foreshadowed in it is developed in genuine partnership with Aboriginal people and involves officials with the requisite skills, experience and training. But that implementation plan needs to also include mental health and, this time, to wrestle successfully with mainstreaming. Third, and most important, there seems to be an increasing recognition that non-Aboriginal people really can’t make indigenous people healthy. It is time for Aboriginal communities to play a more central role in the design and conduct of their own services, bearing in mind that some of the best health services in Australia are run by the ACCHS sector. If the Mundine review and the Abbott government can successfully address these issues, Australia, in the not too distant future, could complete the long transition from international opprobrium to leading the world in indigenous health. Ian Ring is a professorial fellow at the Australian Health Services Research Institute at the University of Wollongong.